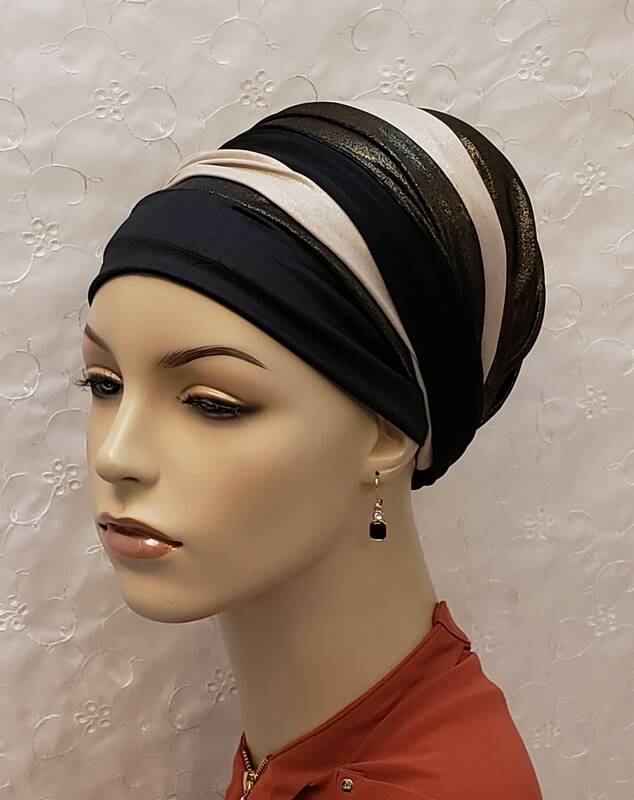 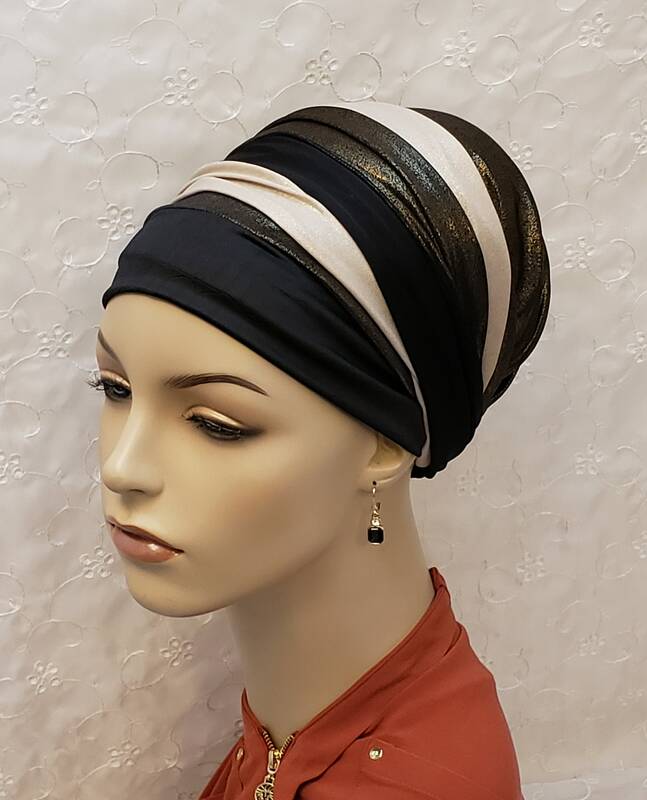 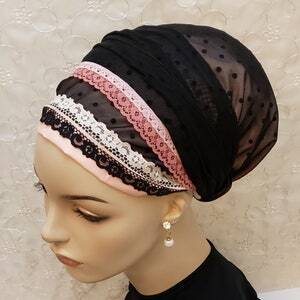 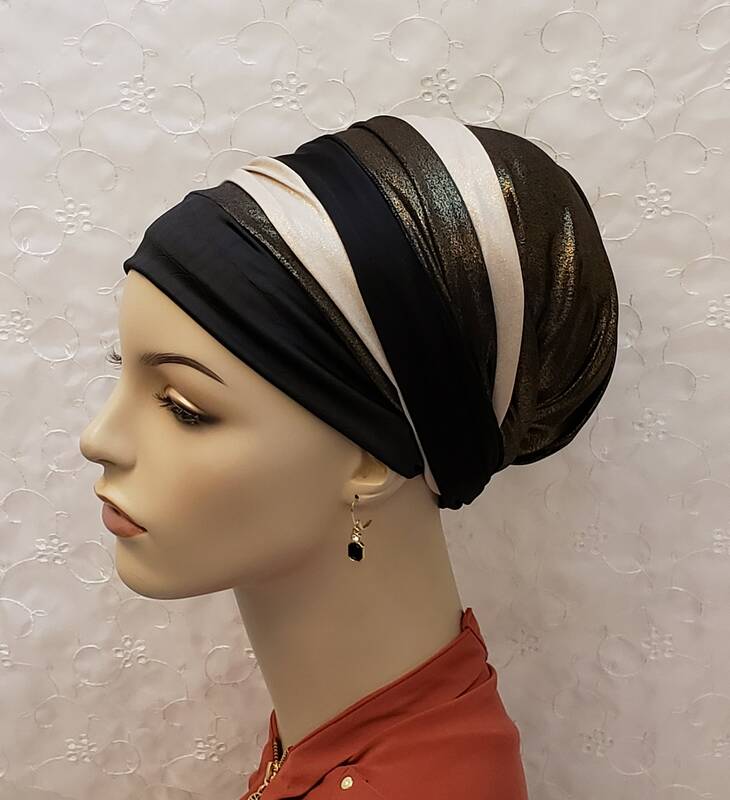 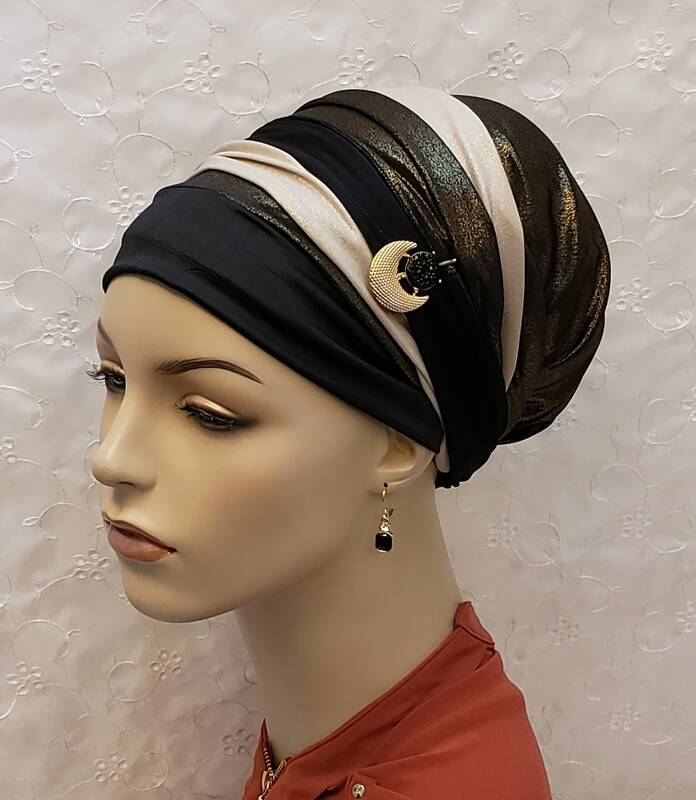 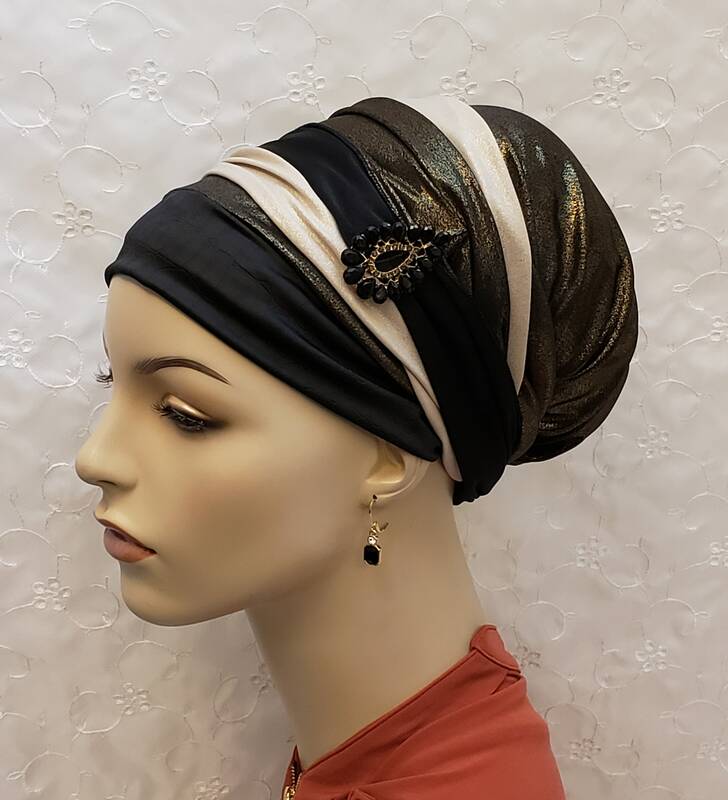 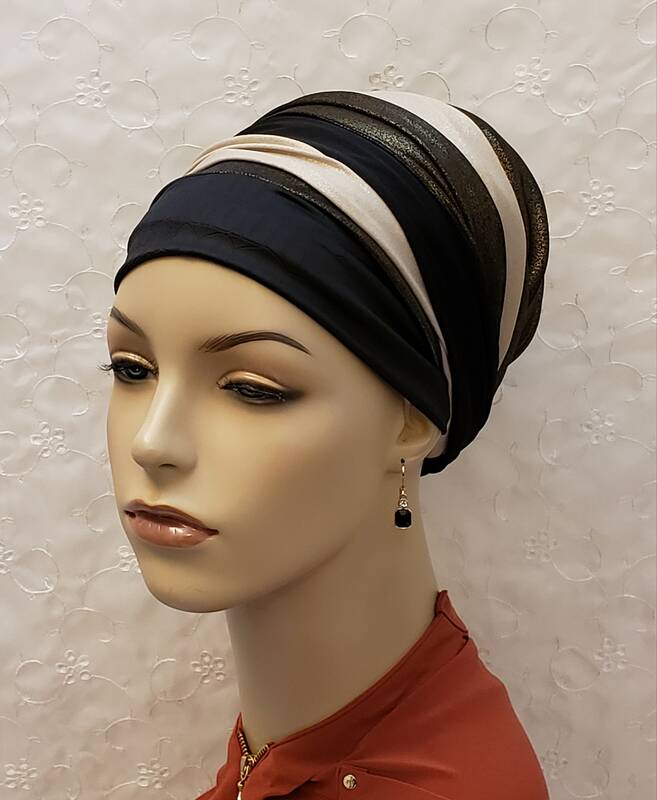 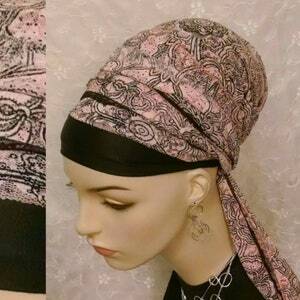 Chic and sophisticated, the perfect head wrap for work or play! Love the thin, lightweight and textured front piece in black. 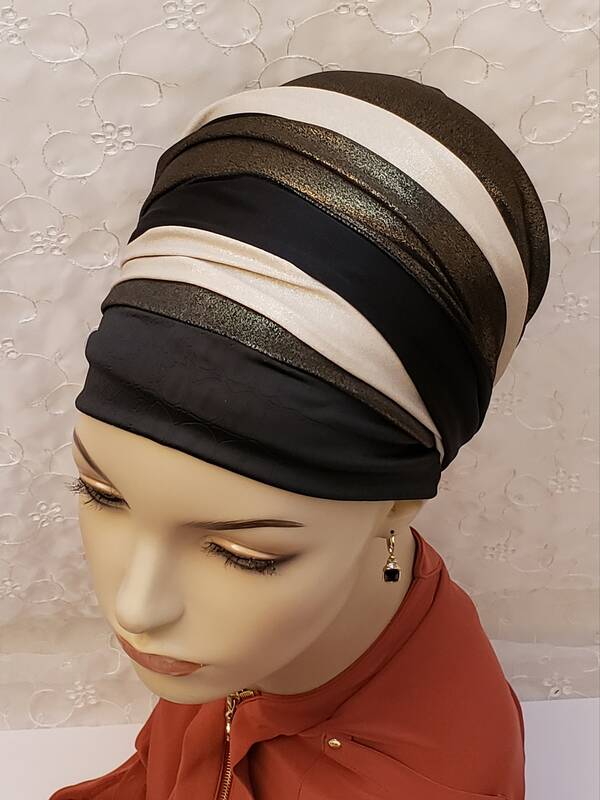 A beautiful complement for the metallic toned colorplay behind it. 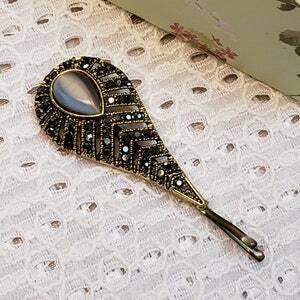 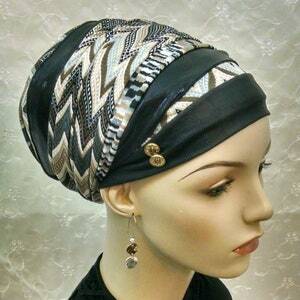 Add your favorite tichel pin for as n instant upgrade. 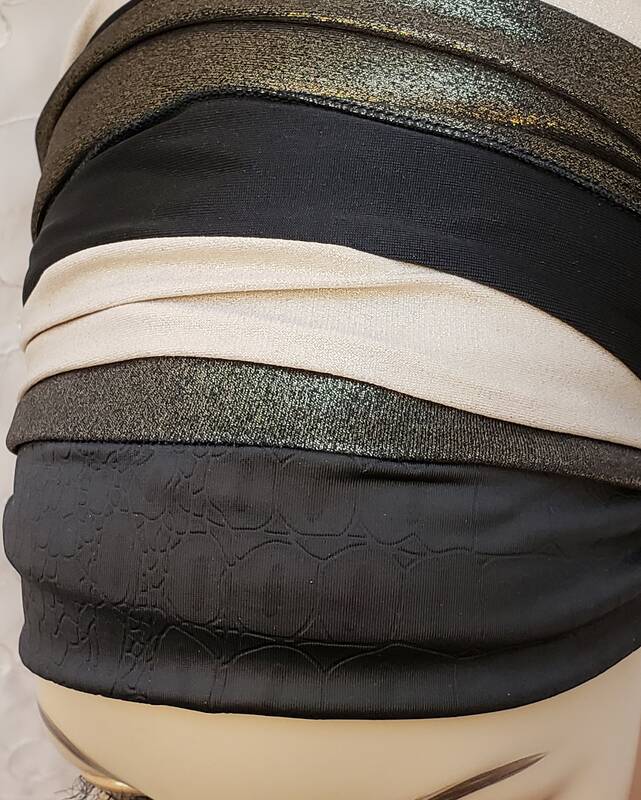 Check out my full selection in my shop!